At the moment we don’t know very much about the early history of our site, but we think that it was operating during WW2 and we have been told that it was a popular and well-used site until the early 1990s. Around this time demand for allotments had fallen and with occupation decreasing the site was seriously neglected and underused. 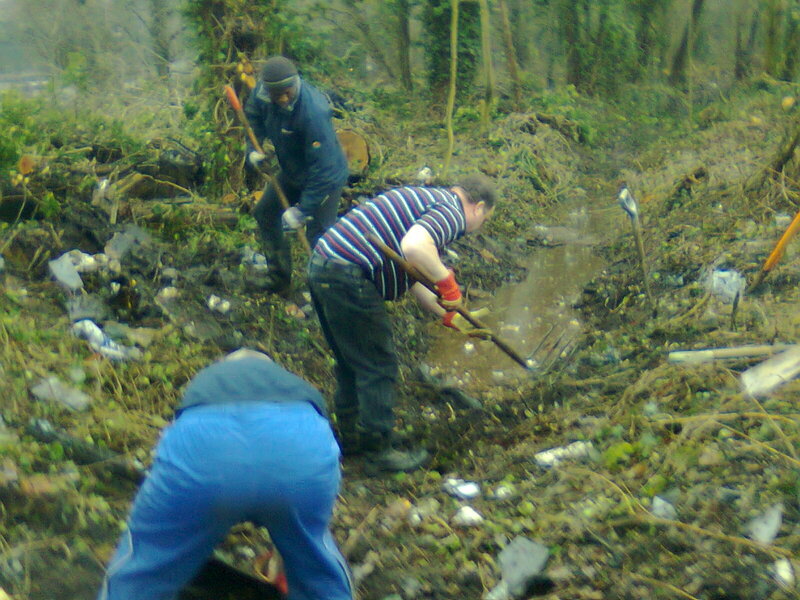 Council resources to support allotments were minimal and by the early 2000’s our site was in danger of closure. It was at this point that a group of plot holders decided that some collective action was needed to regenerate the site as a community amenity. Happily, this initiative coincided with a wider revival of interest in allotment gardening and ‘growing your own’. 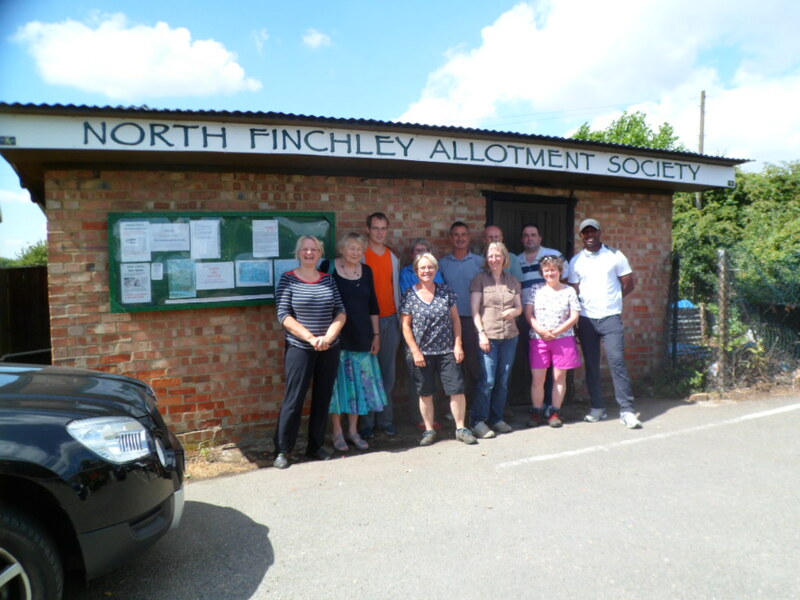 We started by building up a group of allotment society members who were happy to do some of the dirty work – rubbish clearing, for example – to improve the appearance of the site. Members also approached local companies for help with the loan of machinery and equipment so that we could clear derelict land to open up more plots. We also entered into a partnership with the London Probation Service to bring Community Payback teams on site to help us build paths and renovate our two Trading Huts, install toilets and refurbish the car parks. We encouraged and supported new plot holders and gradually increased occupation. .. and now the future is in our hands! All this work was managed and/or carried out by small groups of volunteers and we are very grateful to the members who put so much time and effort into saving our site. Our efforts have paid off because Glebelands, along with Barnet’s 30+ other sites, moved in July 2013 from being a ‘direct let’ site (with plot holders paying rent and other charges to the council) to being self-managed. LB Barnet Councillor Anne Hutton joins the NFAS Committee to celebrate the signing of our lease. This is an exciting and challenging time for the Society and the committee as we take on the lease and start running the site ourselves. We are committed to making Glebelands a welcoming and well-run place for everyone who wants to make a go of allotment gardening. NFAS is responsible for all regular maintenance and improvement work on site. This means that all members are required to do their bit to keep the site in good order and contribute something to our working party days – even if it’s only an hour or so clearing rubbish, strimming paths or tidying up the woodchip pile . Working parties are held regularly and dates will be posted on the site gates and on the NEWS page of this website.